Over the past few days(actually for quite some time) I have been pondering if it's possible to use "Computer Vision" to figure out the ring size of a wearer.. I have done a tiny amount of analysis on hands and come to these conclusions..
Tinker more with trackingjs.com and show it some support (Note that we're already covered on the roadmap from previous conversations I have had with the dev). Research Hand Diameter <> Circumference taking into account the length of the finger/curves etc. and do statistically analysis on this data to see if there is anything we can learn.. Rapid Miner would be useful if we had a large data set and wanted to know the unknowns.. 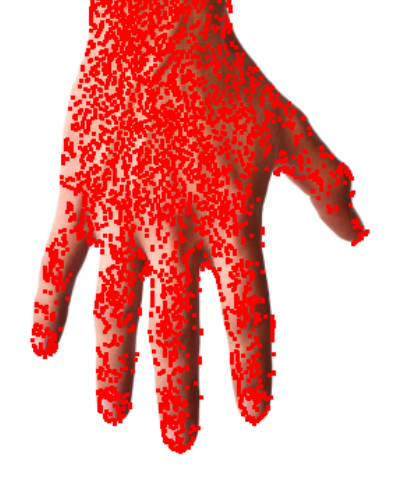 I'd say a sample set of 100 hands with 20 data points per finger would be enough to get started with.. Consider how the UX would flow for this, it could / should be useful for a lot of people(as a universal way of measuring objects using a webcam) if we can get it right.. I'm open to other approaches I just think the ML/Math approach is the strongest at this juncture..